Why is Automated Shipping the best solution to send Rakhi worldwide? Every festival is a big opportunity to expand the business by tapping into the growing need of the products. One who rules the business domain and stands out from the tribe does not miss a single opportunity to make the big leap. Taking your products to a larger audience is the first rule of the thumb for strategic expansion. To take this leap, one must have a robust shipping mechanism aligned to business for reaching out to plenty of buyers. Rakhi is one festival which is gaining popularity by leaps and bounds. Today the festival has spread out beyond India. And also add the number of brothers and sisters who stay outside and often miss the chance to celebrate the great occasion. With a robust shipping system, you will have a chance to reach out to the larger customer base and give your business a new high. When the opportunities and strategies are sorted, the question is how can one make it work? 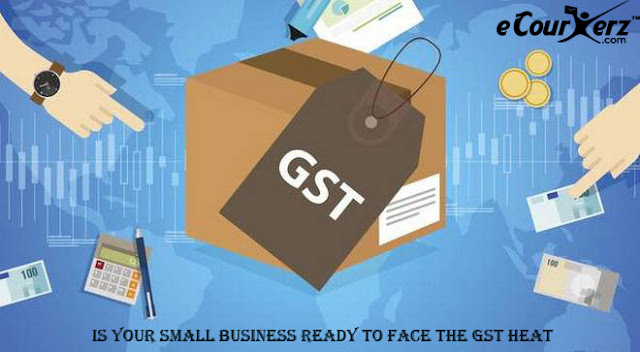 Is your small business ready to face the GST heat? GST charge change is currently a blessing from heaven for the country. Yes, the Lok Sabha in its current stretch passed all the four GST charges in the parliament in particular Union Territory GST Bill, CGST (Central Goods and Services Tax), Integrated GST bill and Compensation GST Bill. GST gathering is good to go for the July 1 rollout for an across the nation assess insurgency. Unfortunately, undertaking innovation reception rates among the SME segment have been generally low the country over, however, GST imposes administration is relied upon to change the circumstance totally. Fastest way to ship your parcels to Middle East ! Ecourierz is the simplest and easiest way to send your documents and parcels worldwide, and this has led us to become India’s best, cheapest and fastest courier service. We have years of experience when it comes to shipping goods to the Middle East. With the best rates in the country and the most technologically advanced courier solution, your worries of shipping goods to the Middle East end here. 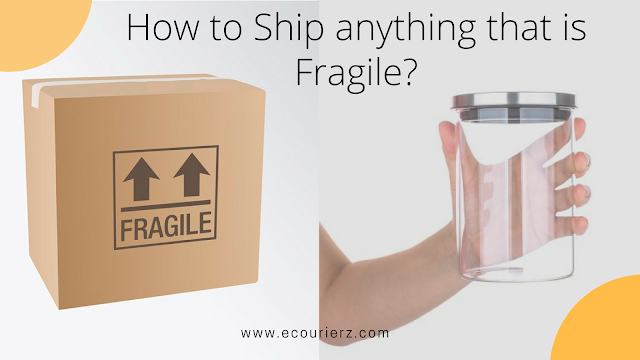 eCourierz - How to Ship Anything that is Fragile ? How to ship fragile item ? Shipping isn’t normally taken into consideration to be one of the most exciting elements from an ecommerce business perspective. To get fragile objects for delivery can be particularly burdensome. however ,there are a few matters you can do to make sure the secure delivery of your fragile merchandise. Here are a few pointers for transport fragile gadgets for your enterprise.